I have re-visted the new part of Green’s Bush a few times now, learning my way around and seeing what different birds are located in the various types of vegetation. While walking down from a higher ridge line I heard what I assumed was a Rose Robin. It sounded much like a Rose Robin just without the 2 note call at the end. 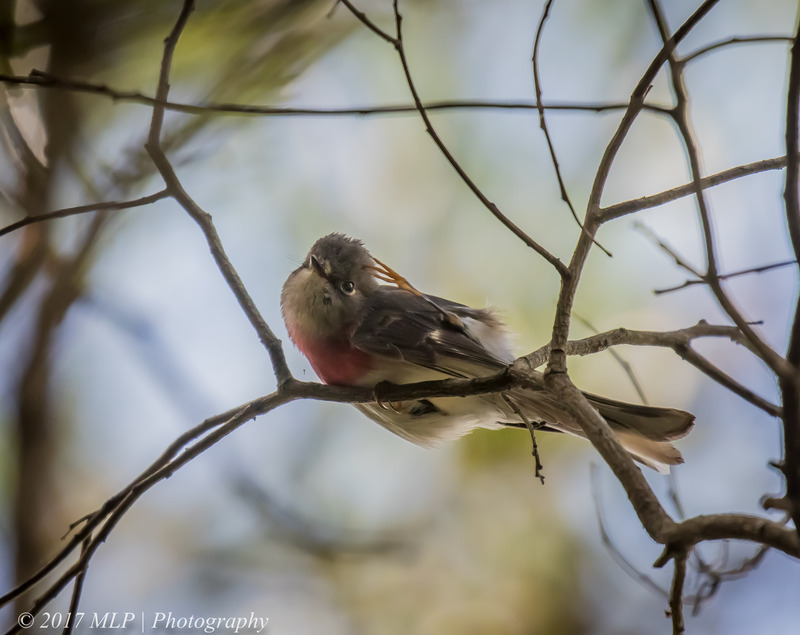 I logged it as a Rose robin “heard” and hoped that I would be able to sight them before I moved away from the area. Half way around the circuit I heard the call with the 2 note ending and found a small family of Robins working the low branches of Sheoaks. After a few pics I moved onto another section with a large amount of flowering mistletoe hanging from the Eucalpyts with several bird species working the flowers for nectar. I had already seen a few mistletoe birds so when I saw the flash of red I assumed another bright male mistletoebird. 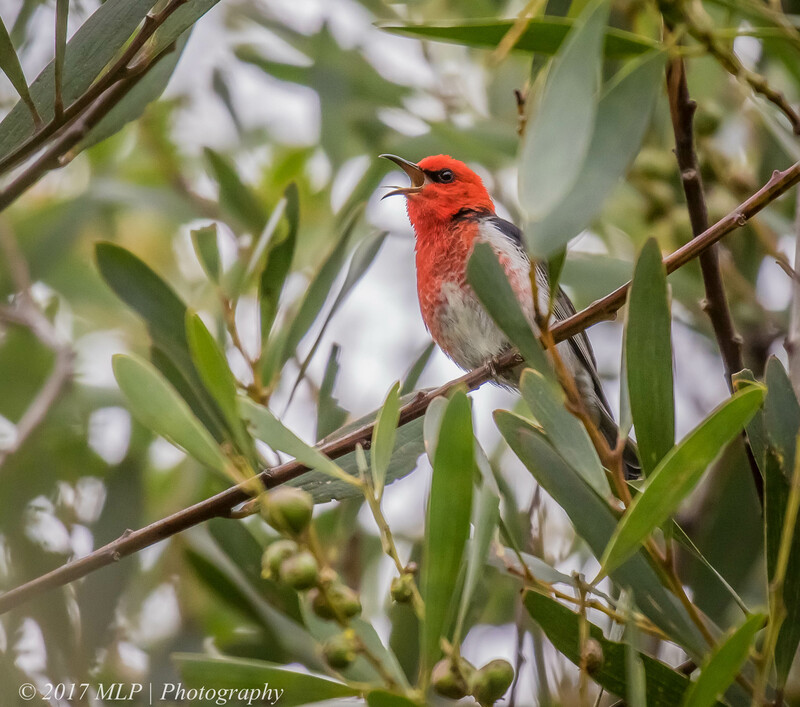 I was extremely surprised to see so much red on the bird….I could not think of anything else other than a Scarlet Honeyeater, a species I have only seen well on last year’s trip to Mallacoota near the NSW border in far east Victoria. 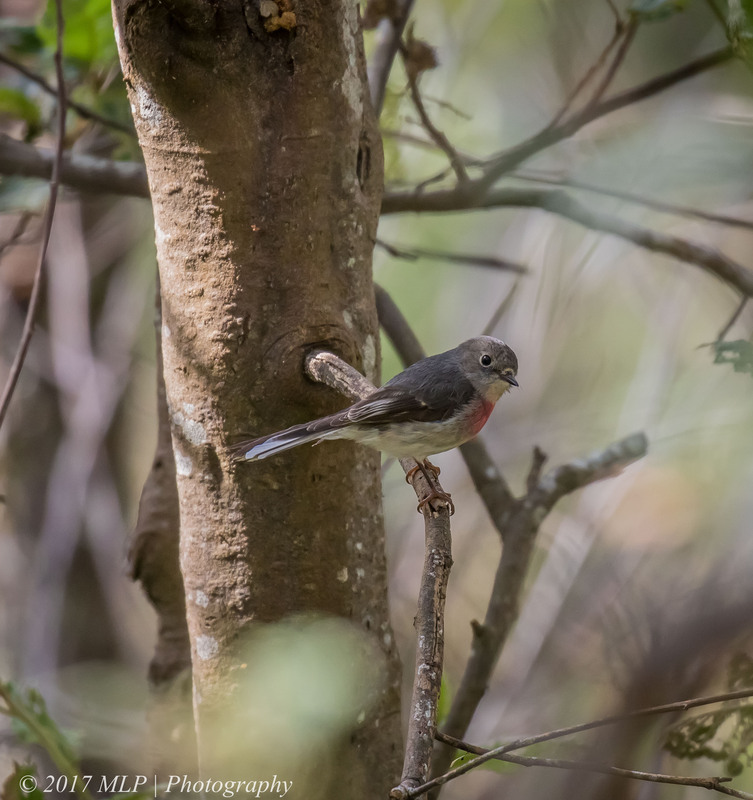 I tracked the Honeyeaters across the Eucalypts for a while and as I had tuned into their call I released that the shortened Rose Robin call I had been hearing was actually the Scarlet Honeyeater. To my ear the calls were very similar. Later at home when reviewing the images and then checking the Facebook Bird Vic and eBird sites, I noticed that a number of people had been reporting sightings around Victoria. It seems we are in the midst of an irruption, an unusually high number of birds migrating to the extremes of their range. Last weekend I went back and saw more of the Scarlets, this time around the carpark enjoying the flowering Teatrees and overhanging mistletoe. I thought the flash of red in the flowering mistletoe was a male Mistletoebird. Scarlet Honeyeater calling, with several others nearby responding. 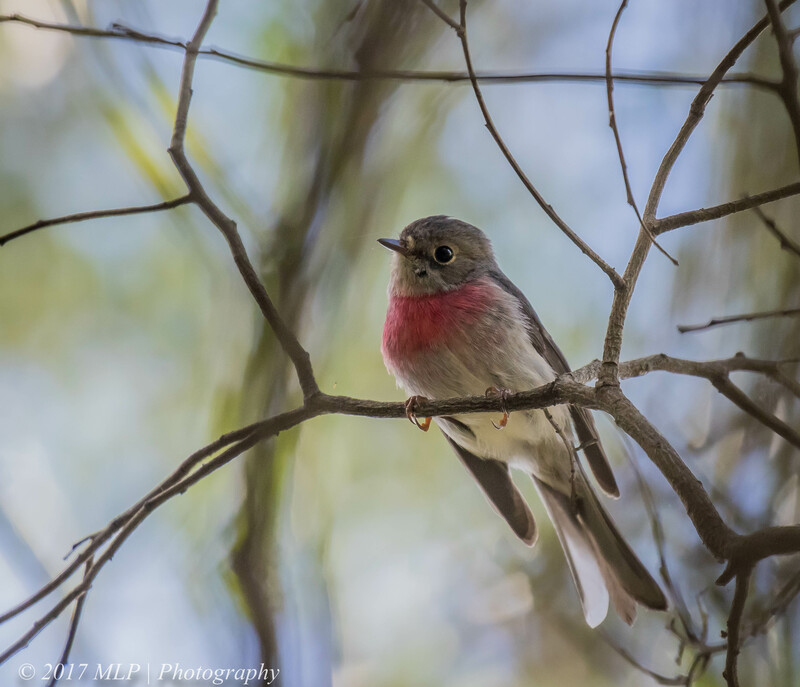 This entry was posted in Birds, Victoria and tagged Australia, Australian Birds, Bird Photography, Greens Bush, Mornington Peninsula, Mornington Peninsula National Park, Nature Photography, Photography, Rose Robin, Scarlet Honeyeater, Victoria. Bookmark the permalink. These guys are everywhere! When I saw on at the Cranbourne Botanical Gardens a few weeks back I first though the call was a Mistletoebird. I guess it’s a call we’ll be getting used to this spring! They are everywhere at the moment Emma, will be interesting to see where they pop up around Melbourne over Summer. 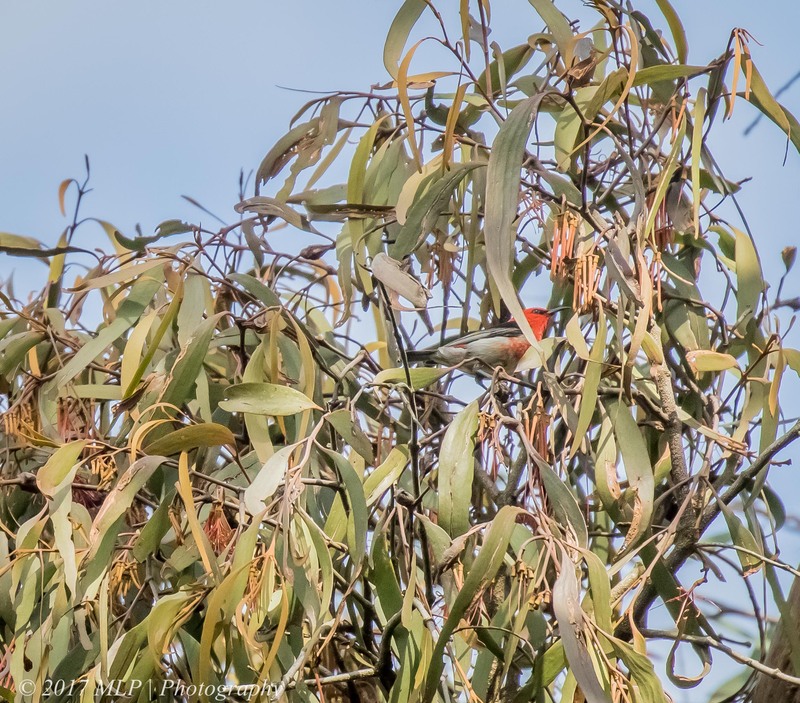 Adding to the Scarlet theme … Scarlet Honeyeater seen at Langwarrin Flora & Fauna Reserve on 28th October. 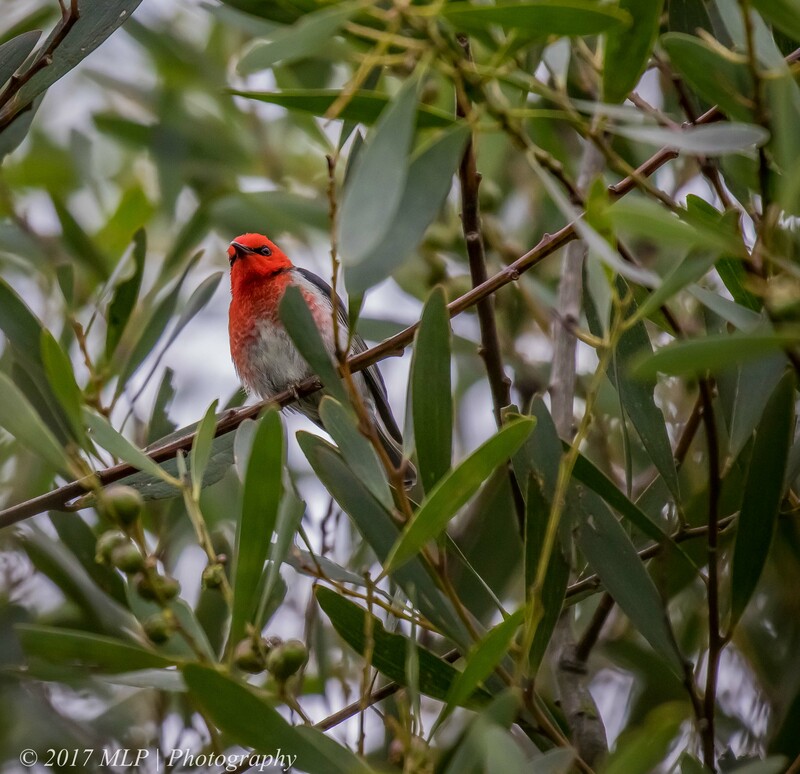 Just as you have described, I first saw the honeyeater in a mistletoe, and assumed the flash of colour to be a mistletoebird (which I’ve seen quite a few times at Langwarrin F&FR) … however, I was then treated to some great views of my first Scarlet Honeyeater! Small honeyeater, obvious honeyeater-shaped bill (cf. mistletoebird), scarlet head, colour extending onto the back. No black breast sash (cf. misteltoebird). i.e. 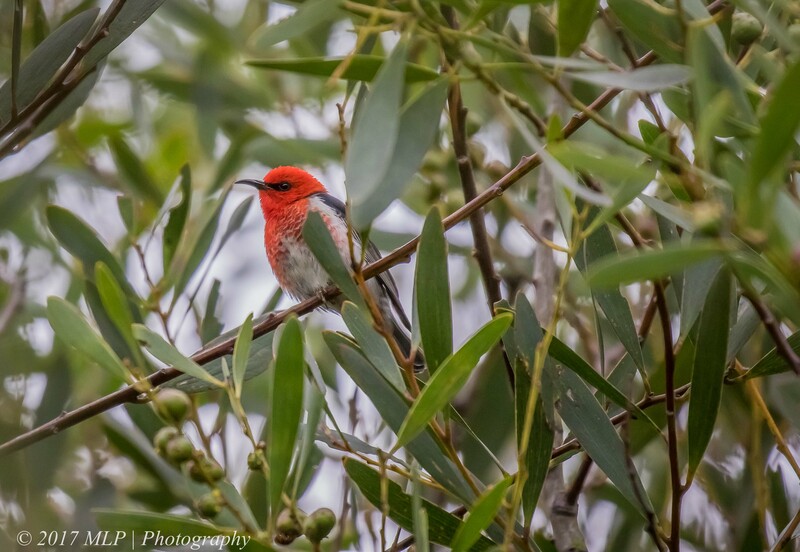 a Scarlet Honeyeater! Other birds included Dusky Woodswallow and Horsefield Bronze Cuckoo, New Holland Honeyeater, Yellow-faced Honeyeater, White-eared Honeyeater, White-naped Honeyeater and Golden Whistler. Really good birding and beautiful heath around the Reservoir and Dune tracks. Nice report Nick, Langwarrin is a great spot and I go a few times a year to check it out. There is a lovely heathland section that used to have a small colony of Southern Emu-wrens but with the local housing build-up and the associated cats they were wiped out a few decades ago…I still live in hope of a sighting…I will have to revisit Langwarrin soon and pickup the Scarlet for my site list. Thats pretty good Nick, how are you recording it? Just the iPhone and its free app. ps. I’ve located a nesting pair of Satin Flycatchers. Contact me if you want to photograph them.